One of Ted's more recent press photos - thanks to Tina Henley (Itsokimcrazy2@aol.com) for this one! 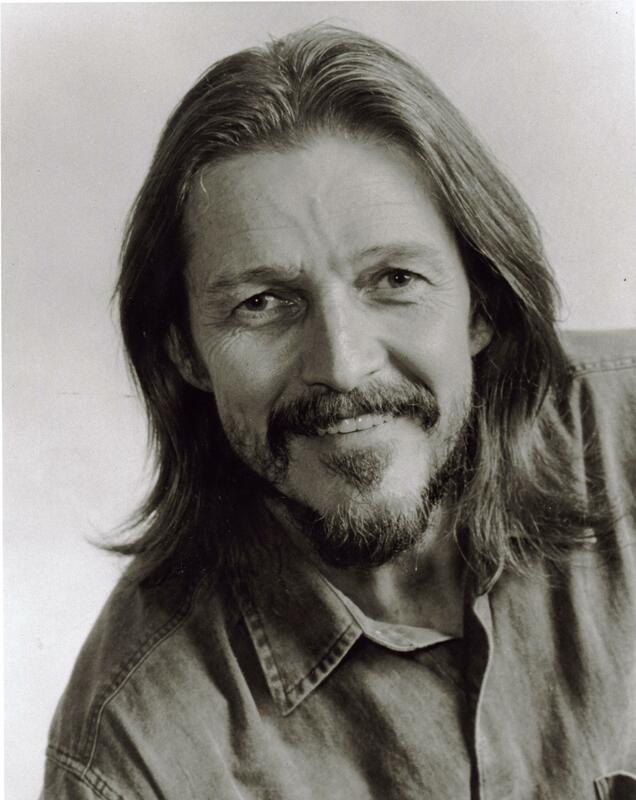 I�ve had the privilege of watching Ted Neeley perform live since 1973, when he came here to perform in Tommy at Musicarnival. 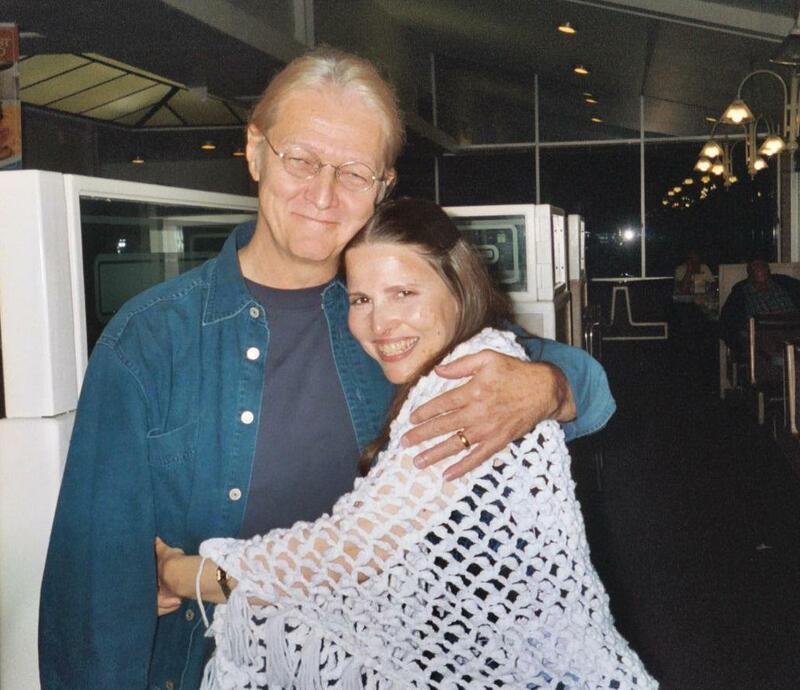 Throughout the years I have seen Ted numerous times in Jesus Christ Superstar (both live onstage and in the film version), and I have also been lucky enough to see him perform in Rasputin (12/18/99), Murder In The First (6/10 & 6/11/00), Waiting For Godot (9/2 - 10/4/04 - (in BeckettFest 9/18-10/4)), the JCS AD Tour (2006-2009) and Ted Neeley and the Little Big Band (3/23/13 in Cleveland). 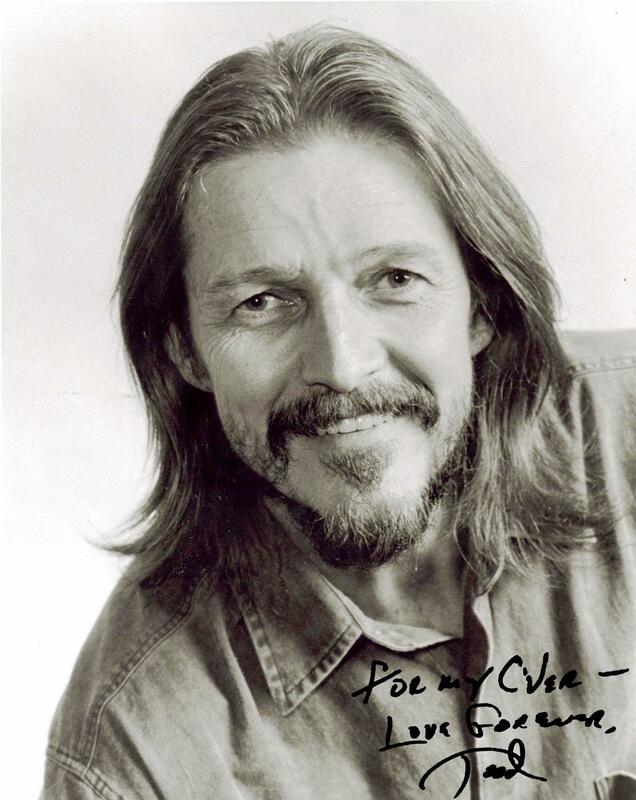 I have also been fortunate to perform with him in the JCS YTA Benefit at the Ricardo Montalban Theatre in Los Angeles in August 2006 with the Agape choir. 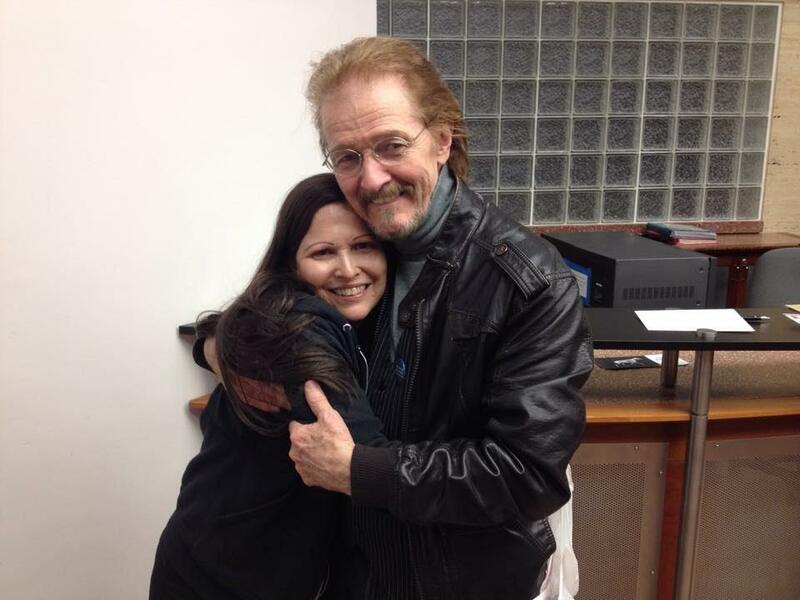 While I could not made the trip to Italy and the Netherlands to see Ted's latest incarnation of JCS (no $$$), I was very glad that he, Barry and Bob stopped in Cleveland during his 2015 JCS 40th Anniversary screenings once he came back to the US. 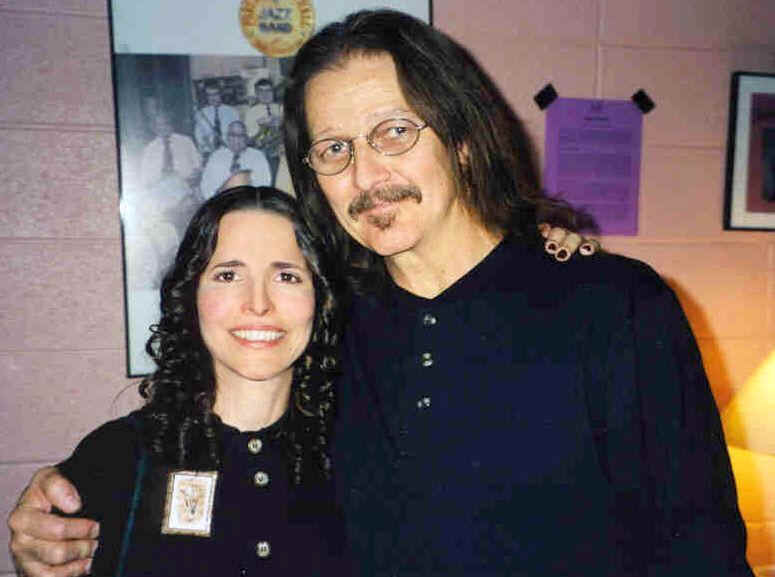 I have also had the privilege, as have many of us ("Tedheads," as we are called these days, though I prefer the phrase "Ted Family"), of meeting and spending time with Ted. I have found him to be one of the kindest, most gracious and most compassionate people I've ever met. I am honored to call him a friend, and to know that he considers me his friend as well. If any of the articles don't come up on their links, let me know. Ted, to this day, is still humbled by all the attention he gets. When we spoke in June, 2000 in Ventura he told me: "I don't know what I did to deserve all of this, but I must have done something good in a past life." It takes a very special person to be that humble in the face of all the notoriety and fandom that Ted experiences, and this is what makes Ted so special. He is always polite, and never dismisses a fan, no matter how late it gets (he's held fort after shows as late as 5AM, and past sunrise in the past! ), and the best thing is that he remembers everyone he meets, AND where he meets them. Then and now: The picture on the top left is my favorite picture of Ted and me, taken backstage after "Rasputin" (12/18/99) at 2:30AM. The one on the top right was taken at "O'Neil's Dennys" on the last night of "BeckettFest" - (10/3/04). 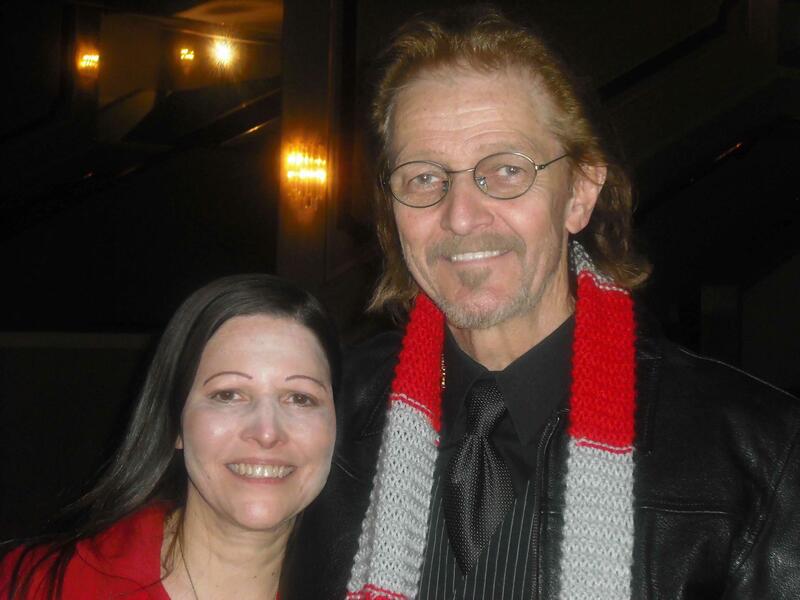 The one, just below those, was taken 3/23/13 after the Ted Neeley and the Little Big Band Cleveland concert, and the most current one, just above, was taken 3/30/15 after the JCS 40th Anniversary Screening at the Cleveland Cinematique. I'm not usually "curly" these days - and hope I don't look too much older, but Ted - in three "colors" - hasn't really changed much at all! I'm sure that everyone who's reading this has either heard of, and/or experienced firsthand, a "Tedhug". If you haven't; then you really need to get one. Don't we all just LOVE these? They are amazing things. 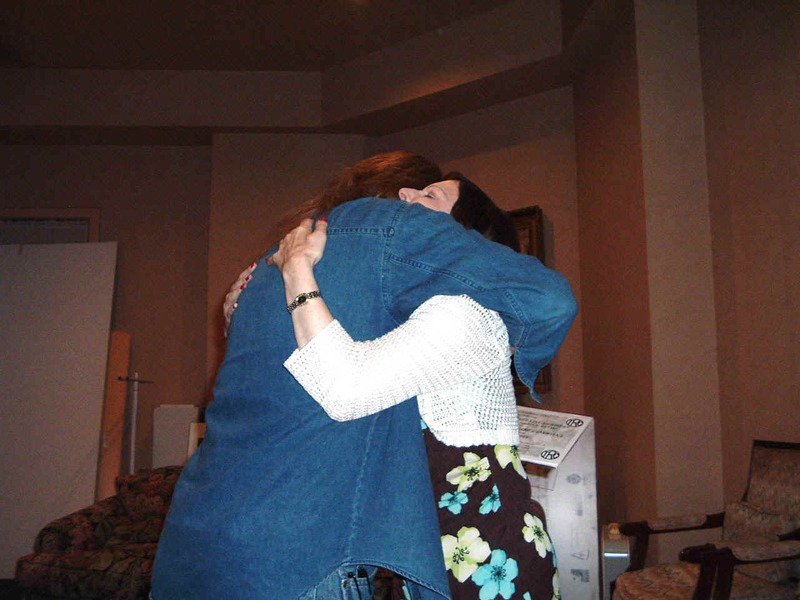 Ted hugs you so tight, it's like squeezing the juice out of an orange. 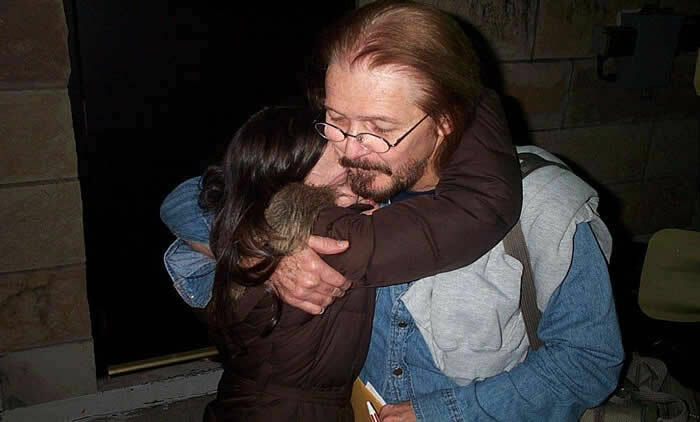 I know of no other celebrity (actually no one at all) who hugs people like Ted does. I got the top one on Thursday (10/5/06) in Toledo, OH after JCS (and it's quickly becoming another favorite picture of mine - thank you Sean Grindle! 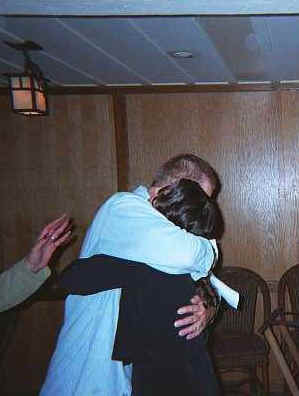 ), the one below left after dinner at The Pierpont Inn when we saw Ted in June, 2000 (someone took it on my camera - don't know who - but thank you!) 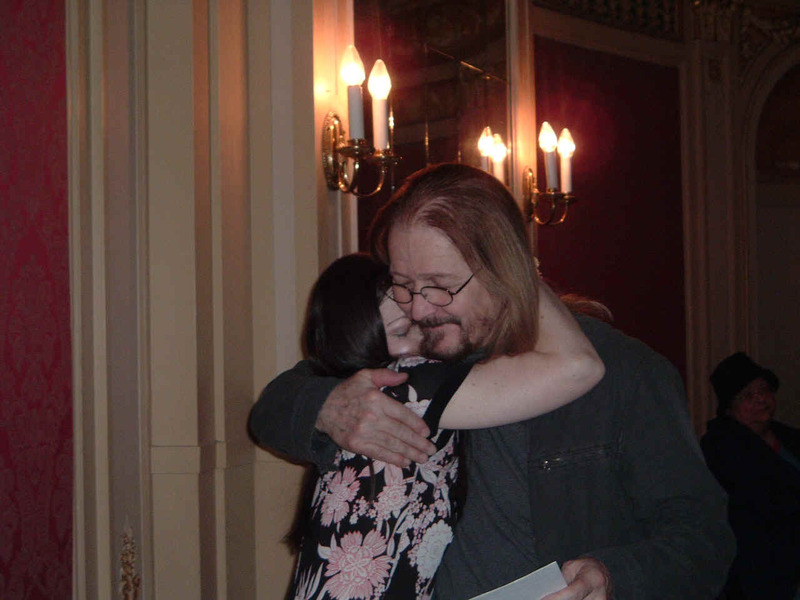 in "Murder in the First" at The Rubicon Theatre in Ventura, CA., the below right one this past April in Pittsburgh at the M&G after the JCS Saturday night performance, and the last two on 2/27/09 after the Friday night Cleveland, OH performance. If you have not met Ted yet, I would HIGHLY RECOMMEND that you try to meet him after the show the next time he comes to your city, or go to the VIP meetings he sometimes will schedule for a venue. For anyone who doesn�t know this (and I�m sure there are very few who don�t and are reading this), you will probably have to wait for quite some time to say hello, because Ted greets each and every person like they are the only one who came back to say hi. It is true that M&G's were much fewer and rarer during the last leg of the JCS TOUR (Ted needed to stay healthy and well-rested to perform at his best for all of us on the road! 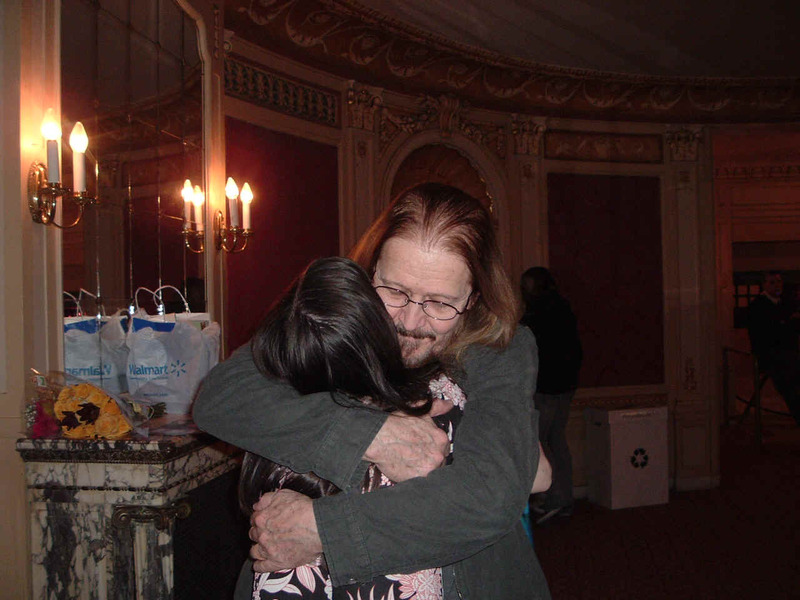 ), and only happened in the lobby, if at all, rather than at the stage door, the way they did in the past. 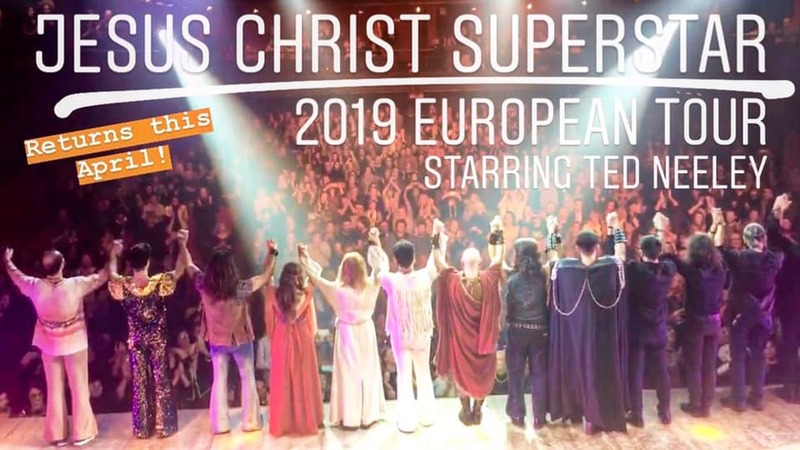 But, with the first phase of the LBB TOUR, the M&G's were more readily available, and, fortunately, during the JCS screenings are even literally scheduled and mentioned at each venue. Hopefully, this will continue to be the case. The next time Ted is in your area, if you're lucky enough to get an M&G, or a VIP event, trust me, it�s WELL WORTH the wait. "I hope you do not mind my addressing you as, "Cver." Somehow it just seems natural after reading so many E-mail messages from you and they all are addressed, cverbelun@core.com. If you are truly at the core, then it follows that you would also be a receiver of information. Therefore, a term of endearment for one who receives, could certainly be, "Cver." And, I say Cver with the utmost respect." 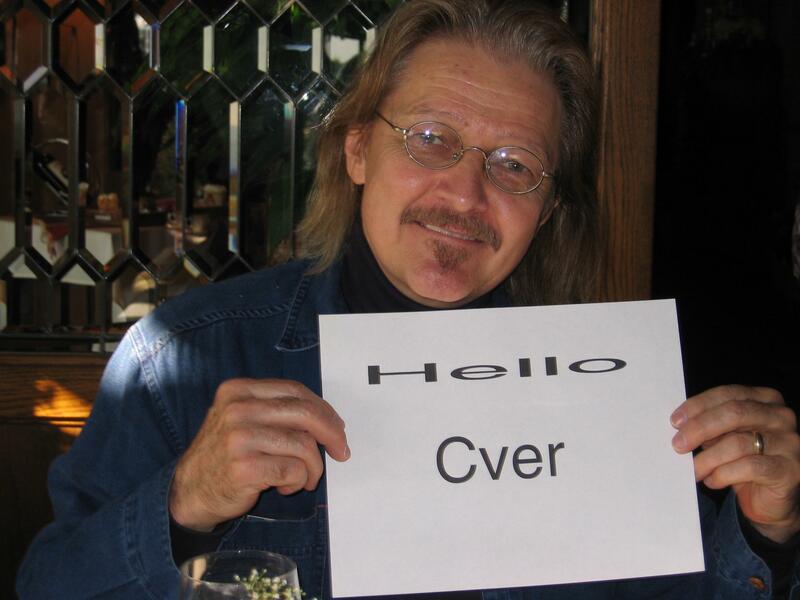 So it kind of stuck, and even though social media has made Ted and Team Neeley extremely adept at relaying their own messages directly (none of us has access to Ted directly at this time), Ted still calls me "Cver" to this day when we say hello. Add to a cocktail shaker and mix vigorously. Add a little lovability if desired! Blend at a low speed for 30 seconds. Serve with a slice of lustfulness and a pinch of salt. Yum! Pages involving Ted's different projects are in their own sections on my website.